Winner of the Fiction Book of the Year at the British Book Awards. An historical novel, set in late nineteenth-century England, about an intellectually minded young widow, a pious vicar, and a rumored mythical serpent that explores questions about science and religion, skepticism, and faith, independence and love. 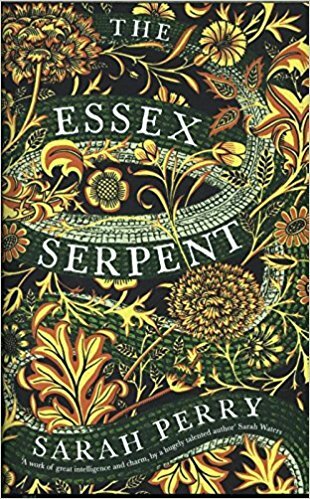 Sarah Perry’s The Essex Serpent is a novel of almost insolent ambition — lush and fantastical, a wild Eden behind a garden gate. Set in the Victorian era, it’s part ghost story and part natural history lesson, part romance and part feminist parable. It’s wonderfully dense and serenely self-assured. I found it so transporting that 48 hours after completing it, I was still resentful to be back home ... Perry’s writing engages the senses. You can almost smell the brine, the oyster, the 'secretive scent of fungus clinging to the oak' ... But the real abundance here is of feelings between characters, not all of them sentimental. It’s been a while since I’ve read a book in which a man and a woman quarrel quite so much, and quite so forcefully, without something devastating coming of it. ... irresistible ... an absorbing story told in a style that’s antique without being dated, rich but never pretentious. 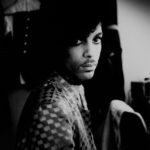 The narrative sometimes shifts into an interchange of intimate letters, a bittersweet reminder of what we gave up to send each other emoji and self-destructing snapshots. Raised on the classics and the Bible, Perry creates that delicate illusion of the best historical fiction: an authentic sense of the past — its manners, ideals and speech — that feels simultaneously distant and relevant to us ... By the end, The Essex Serpent identifies a mystery far greater than some creature 'from the illuminated margins of a manuscript': friendship. The Essex Serpent is a very fine and intelligent novel; not only that, but a richly enjoyable one. Ms. Perry writes beautifully and sometimes agreeably sharply ... The Essex Serpent is most easily discussed as a novel of ideas, and it is indeed that, and a very good one. But it has the virtues of the traditional novels, too: a strong narrative full of surprises; thoroughly imagined characters whose relationships with one another are credible and complicated; and those descriptive passages which not only paint a picture but create an atmosphere. In short, The Essex Serpent is a wonderfully satisfying novel. What did you think of The Essex Serpent?